Quick solution to all skin problems! 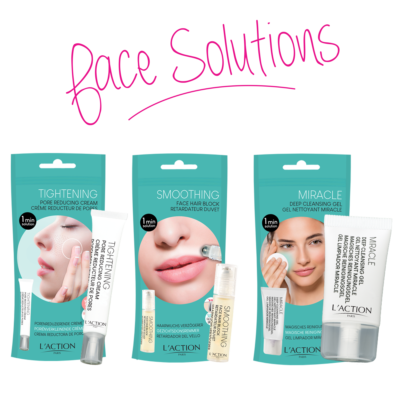 The products of the 1min solutions range are on-the-go, fast and easy to use to meet all skin problems! For a perfect skin: these products, aimed to be used daily, are the solution to all your small skin problems! 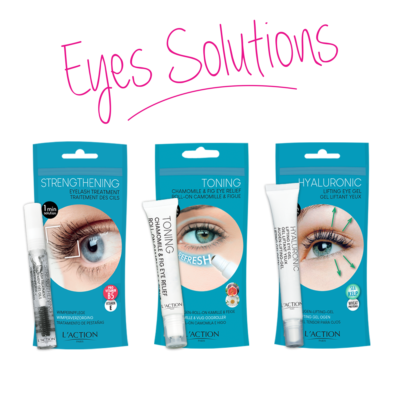 For a sublime look: the one minute solution Eye range brings freshness and luminosity. Take care of your nails and cuticles with our one-minute nail products. 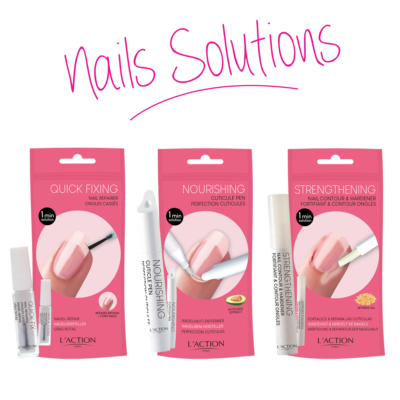 Our three products repair, protect and strengthen your nails. For perfect sensual lips! Thanks to these three products, your lips are nourished, soft and luscious. 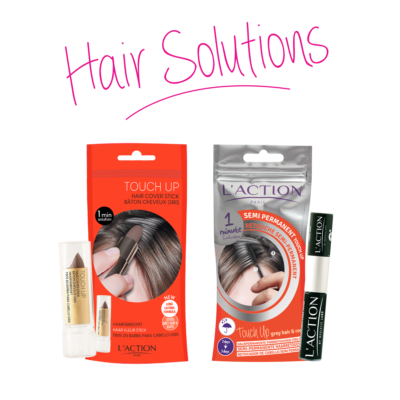 Our products in the One Minute Hair range ensures you a total perfect look and allow you to make small touch up on your hair throughout the day. Our products cover grey hair and discolored roots. The result is a natural look. The product can be washed away with shampoo. 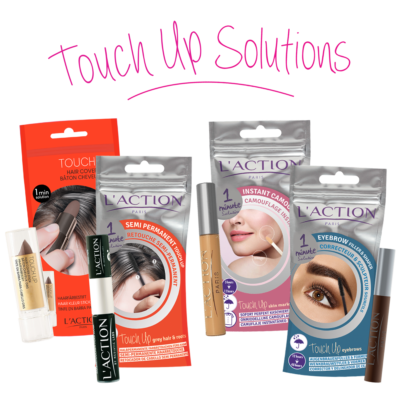 Our Touch Up range allows you to make retouches on your hair, your eyebrows or your skin and ensure you a perfect look throughout the day. Our products cover gray hair, discolored roots, light eyebrows or small skin marks. The result is natural, our products do not stain clothing and can be removed with soap or shampoo.